There is a widespread global need among entrepreneurs in less developed regions for having better access to funding. There are only a few sources of significant capital available, mainly Corporate Funds, Government Funds, Angel Capital and Venture Capital Funds. Corporate Funds are narrowly focused and rarely invest in early stage businesses. Government funds come with lots of restrictions. Angel capital and venture capital are the only two sources of capital truly available to entrepreneurs engaged in early stage high technology startups. 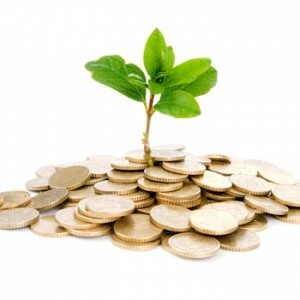 Unfortunately these funds are available for the most only in those regions having significant entrepreneurial activity. Our practice aimed at supporting entrepreneurial teams looking to form venture funds was started as a way to share fund management expertise around the world. We provide services aimed at facilitating the formation and organization of bands of angels and of well structured venture capital funds. You may inquiry about specific services we provide in support of entrepreneurs looking to create venture investing funds using this form. Berkeley Entrepreneurs Forum: 2009 Angel & Venture Capital Investment Overview – Haas School; October 5, 2009. A panel of expert angel and venture capital investors looks at technology investing during 2008-2009 market. The presentation includes a review of the key metrics for venture capital investments/exits and critical VC term sheet terms for Q2 2009. The expert panel includes Sam Angus of Fenwick & West; Steve Bengston of PricewaterhouseCoopers; Jean-Francois “Jeff” Clavier of SoftTech VC; Nat Goldhaber of Claremont Creek Ventures; Gregory Gretsch of Sigma Partners; and David Lee of SV Angel LLC.